Azzaro Pour Homme is a Fragrance For Men. The fragrance campaign features Ian Somerhalder. 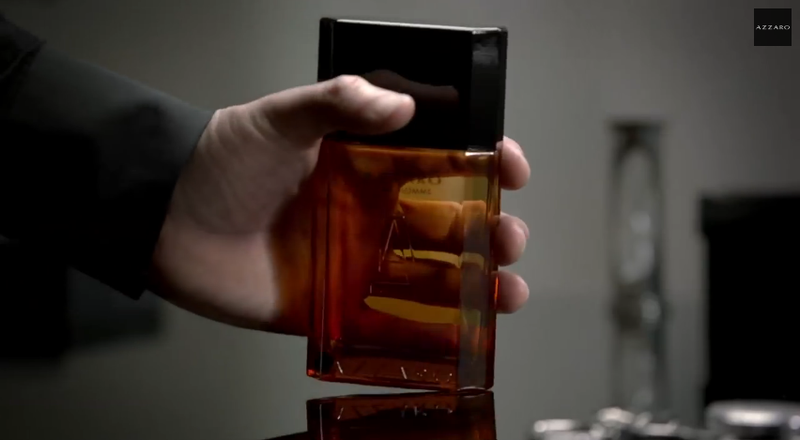 The bottle design is octagonal shaped with "Azzaro Pour Homme" imprinted on the glass. This fragrance combines sensuality and intensity. It's a great addition to your man's fragrance collection! March 2014. Ian Somerhalder becomes the Azzaro Pour Homme man. New face, new style for the iconic scent of masculine seduction. Azzaro fragrances chose the American actor and producer to be the new face of the legendary scent as of March 2014. With natural magnetism, charismatic looks, devastating charm and a hypnotic gaze, Ian Somerhalder naturally fits the Azzaro Pour Homme DNA, and succeeds to the Hispano-American singer Enrique Iglesias. He has attracted millions of fans around the world, as the lead character in the internationally successful TV series “The Vampire Diaries”, a handsome male vampire who finds fulfillment in his thirst for seduction. Followed by 3.6 million fans on Facebook and totaling over 3.5 million hits on Google, this American actor, model and producer enjoys established international fame. Environmentally conscious, he created the Ian Somerhalder Foundation in 2010 to inform and educate people about environmentally-friendly actions. He strives to raise awareness on the environment, animal rights and clean energy sources. Somerhalder is now lending his image to a fragrance that, as well as resembling him in terms of temperament - a first for a great men’s classic!-, is now refillable and therefore more environmentally-friendly. On the black and white visual, in keeping with the previous campaign, Ian Somerhalder spontaneously and unmistakably embodies the new Azzaro Pour Homme man. Charismatic style, virile elegance and just the right touch of self-confidence, he personifies the modern seducer. For the first time, the Azzaro Pour Homme communication campaign takes the form of a video clip, to showcase a story of “modern seduction” between a man, Ian Somerhalder, and a woman, Brazilian model Ana Beatriz Barros. The duo enthralls us with their sense of glamour, playfulness and seductive instinct, as well as the intensity in their eyes… a certain romantic tension begins a new chapter in the saga of Azzaro Pour Homme. The commercial was directed by Swedish Jonas Akerlund; the visual was shot by French photographer David Bellemère. FTC: Product provided by Azzaro.